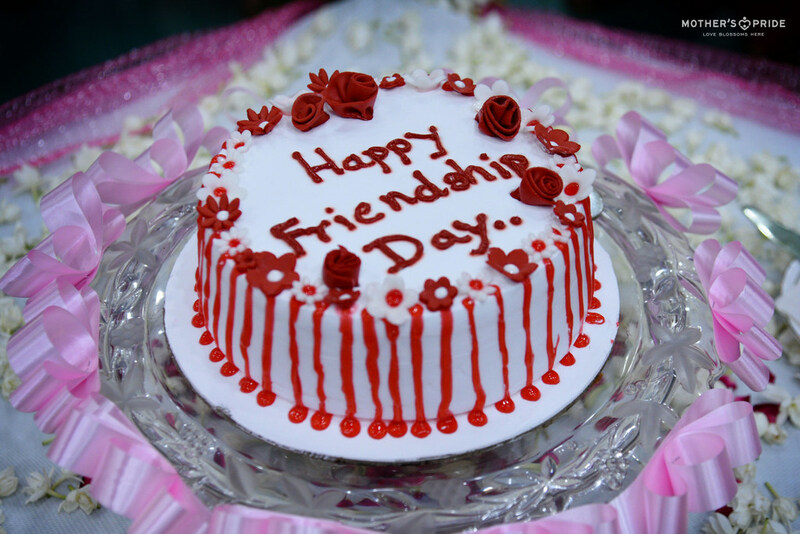 A true friend makes it easy for you to believe in yourself. 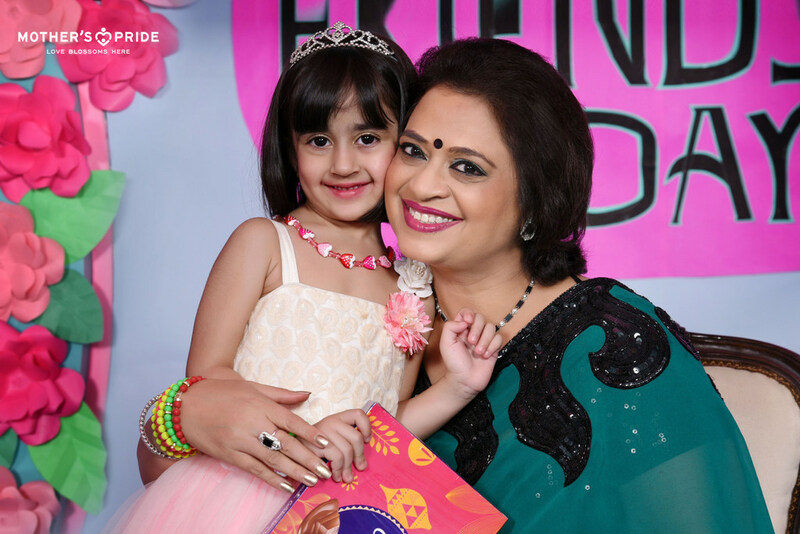 Our Prideens are truly blessed with someone who believes in them and who does all it takes to make every moment of their childhood seem like a dream. 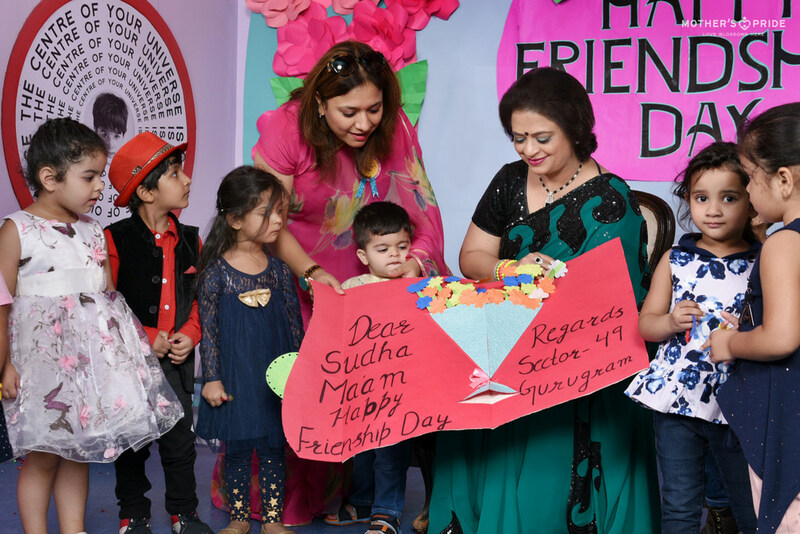 That person is no one but our dearest Sudha Ma’am. 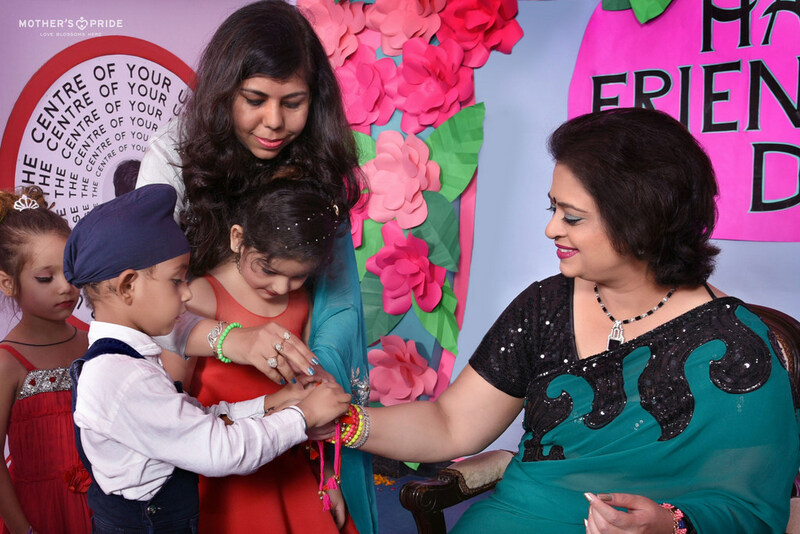 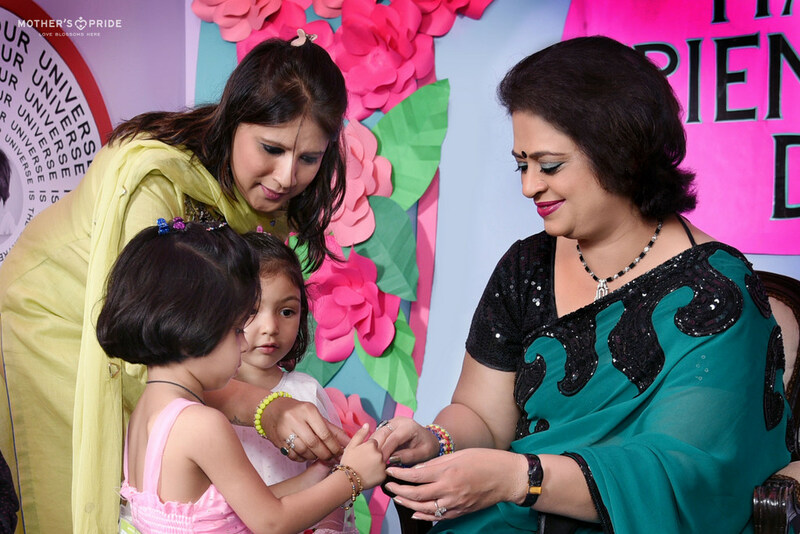 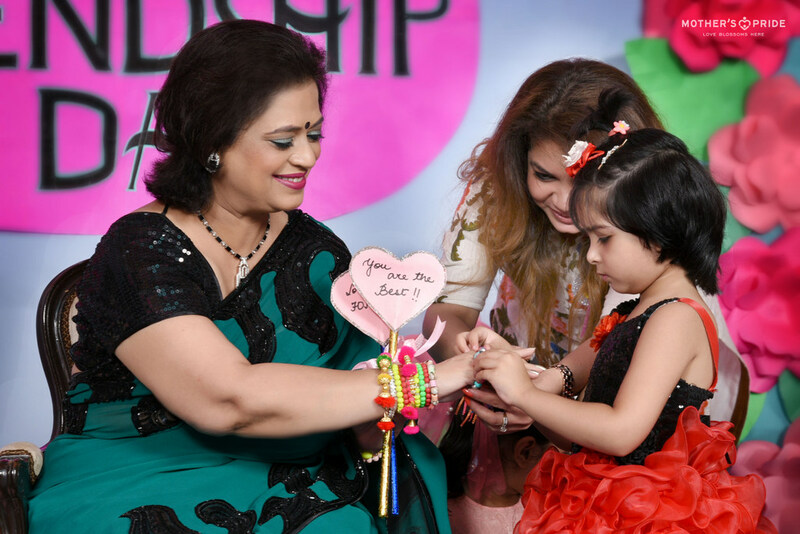 On the occasion of Friendship Day, our Prideens celebrated the spirit of camaraderie with Sudha Ma’am by tying colourful friendship bands on her wrist and expressing their love with cuddly hugs. 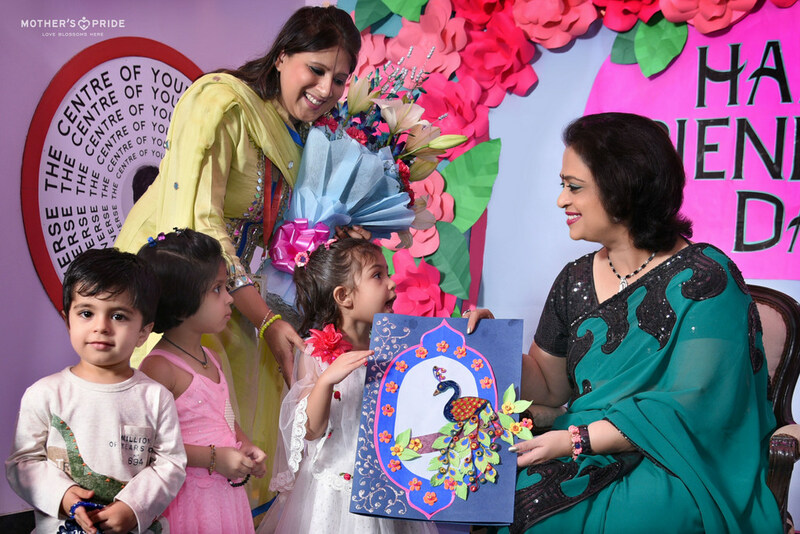 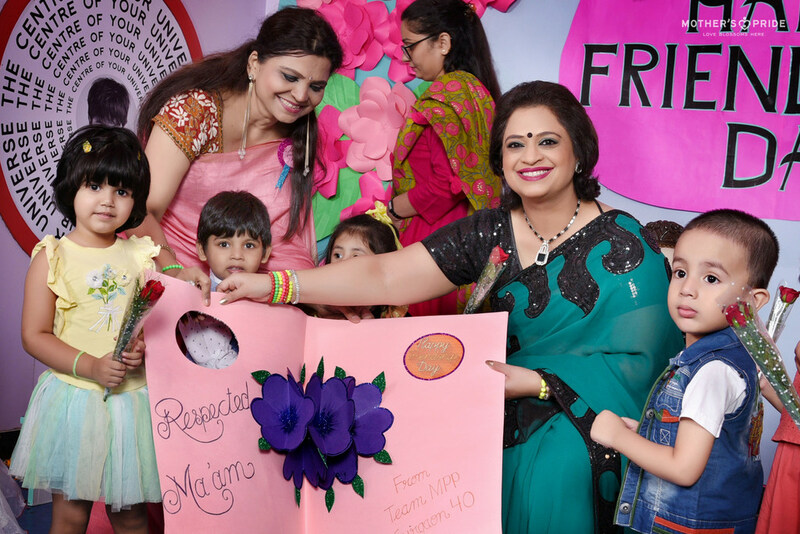 The students also gifted Ma’am handmade friendship cards. 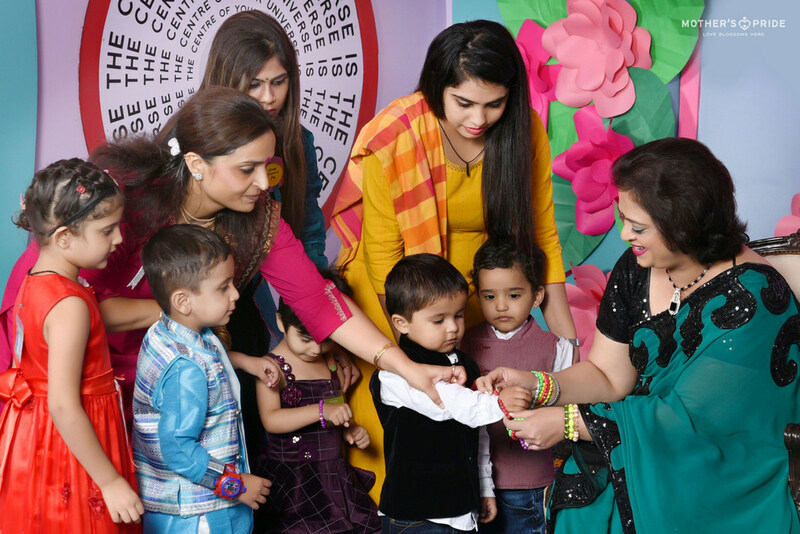 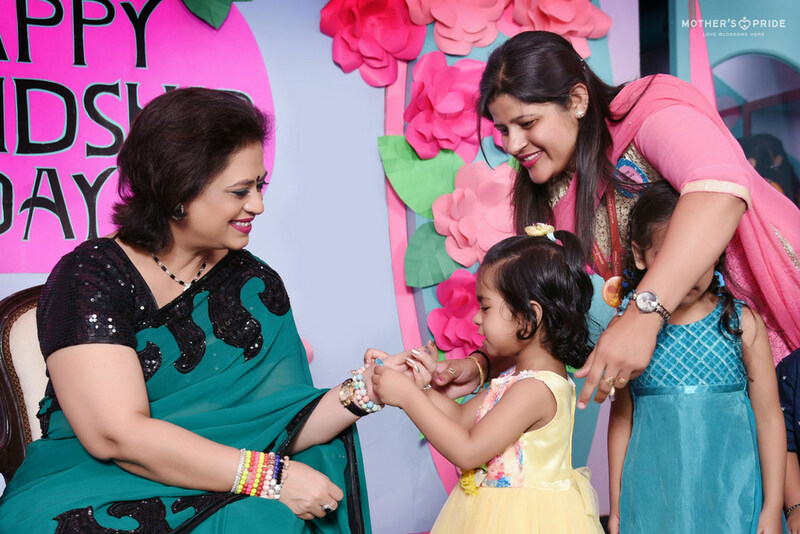 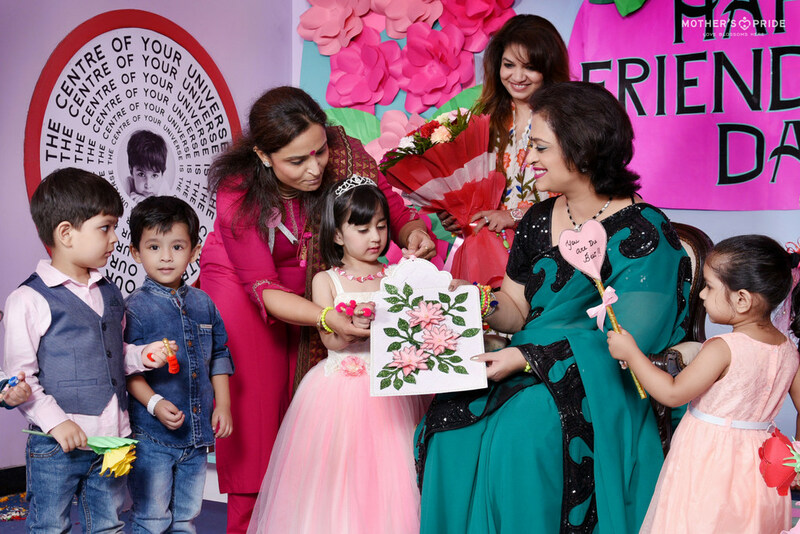 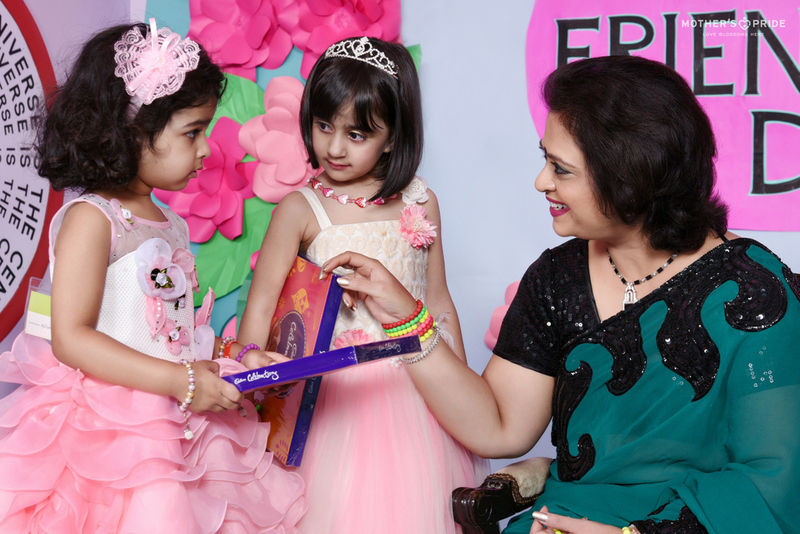 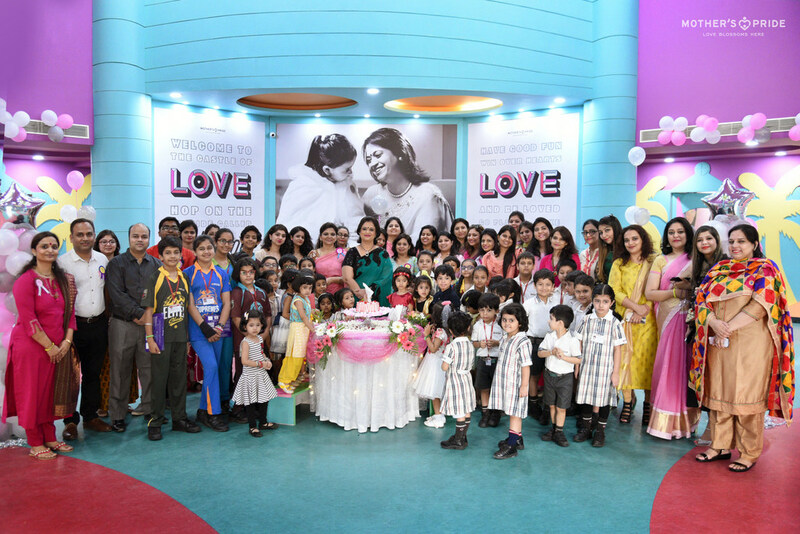 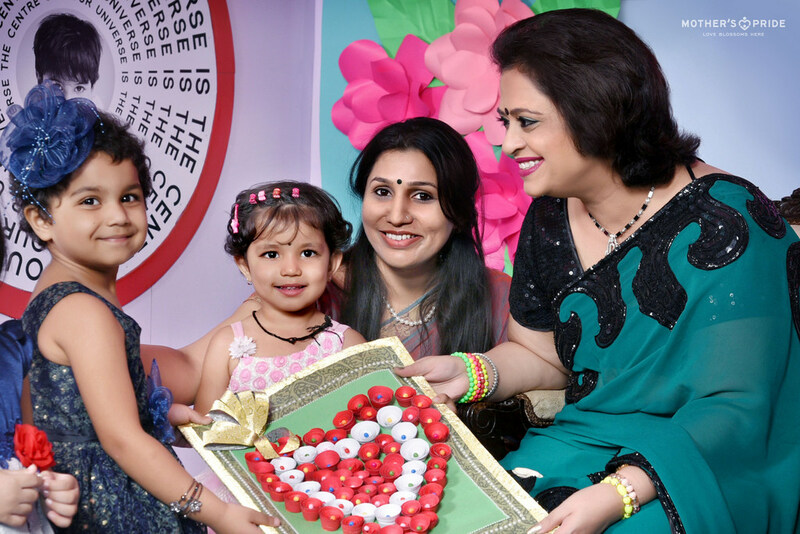 Overwhelmed with such warmth, Sudha Ma’am happily rejoiced the day with our little cuties and showered them with her love and blessings.